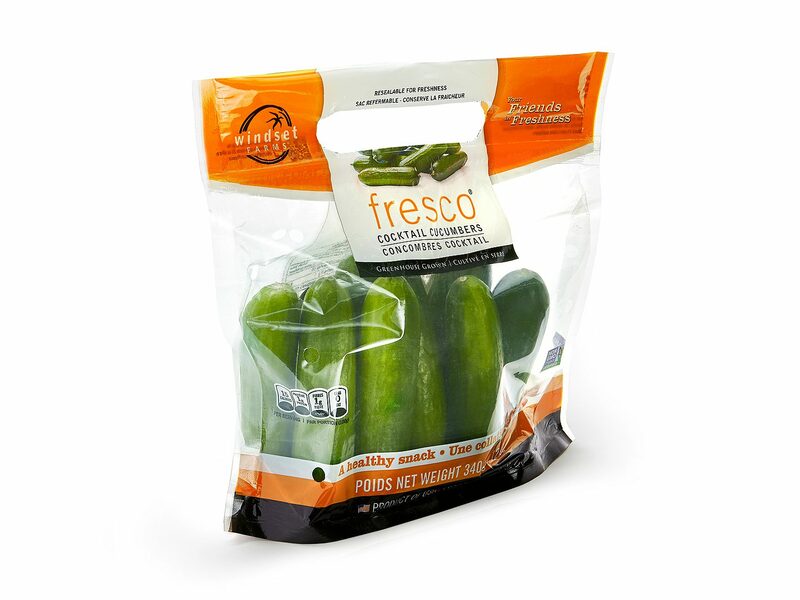 Happy hour here at the farm starts with our Fresco® Cocktail Cucumbers, the smallest addition to our cucumber family. 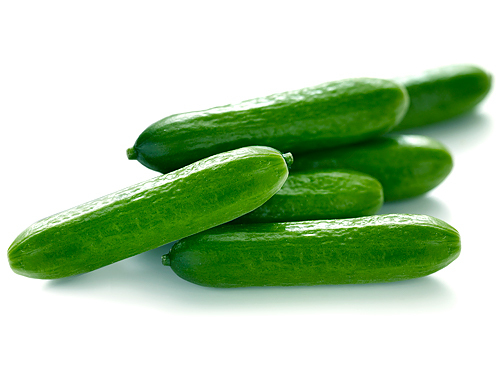 Nobody can deny these perfectly petite and crunchy cukes. 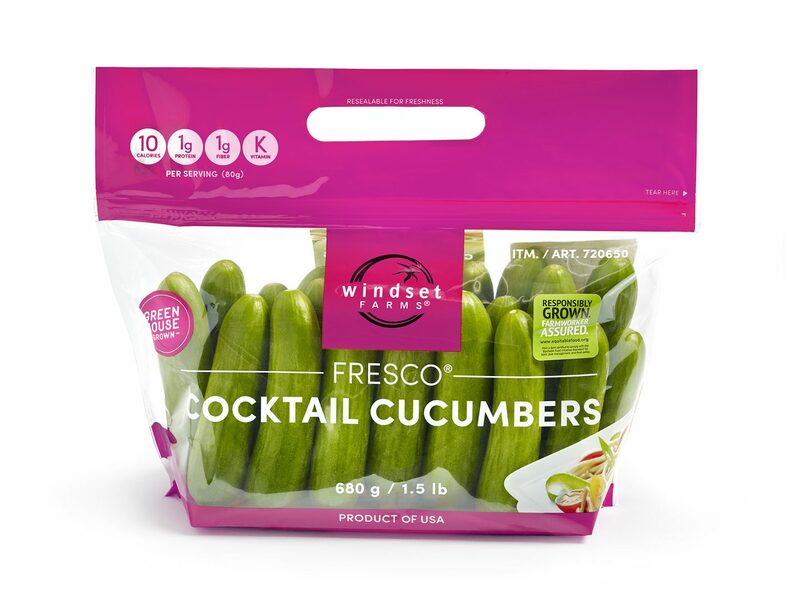 They’re perfect as a snack, lunch box garnish, or a sophisticated and refreshing accompaniment to a martini. Vibrant green, seedless, snack sized. 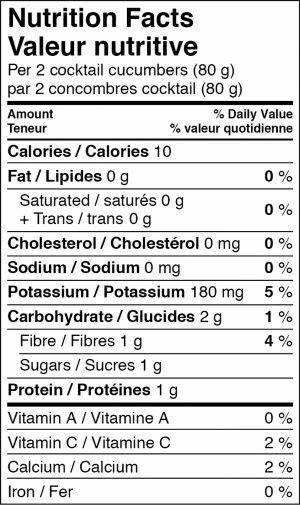 Excellent source of Vitamin C, K and potassium. For maximum flavor, keep cucumbers in the bag and refrigerated. 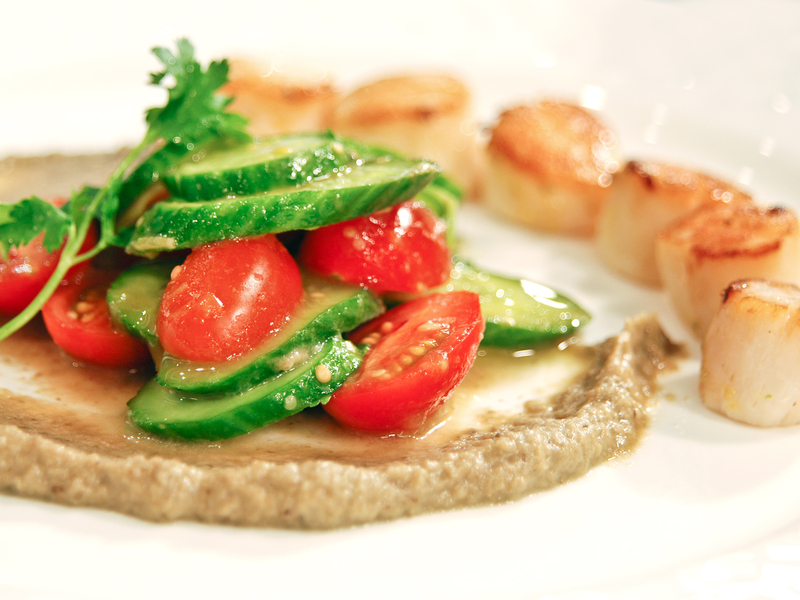 Keeping them cool will enhance their shelf life and taste. 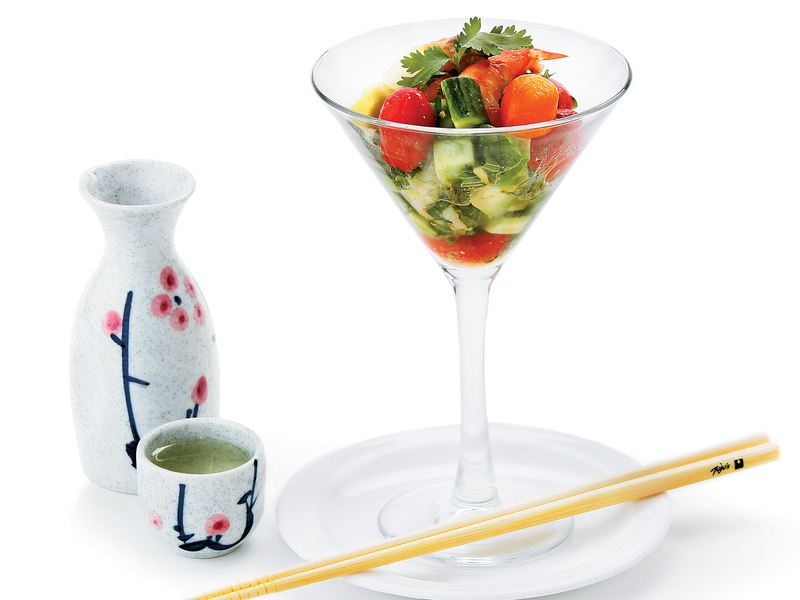 A super healthy and tasty Fresco® Cocktail Cucumber Salad.